Miracles on Snow – NYSSRA Nordic Inc. I think I can safely say without the following spoiler warning… That it was inspiring to Watch Jessie Diggins and Kikkan Randall win Olympic gold. Their hard work and dedication paid off on the world stage. Their success raised the profile of our sport. I can’t wait to see what they (and our other dedicated skiers and biathletes) do next. Once racers finished up NYSSRA season awards followed. NYSSRA Points series and Wilkinson awards went to Eric Seyse and Amanda Zullo. Katrin Shreiner and Adam Jansen were the top U16 competitors. Champs is worth double points for teams, so 40 for the win, 32 for second, 26 for third and so on. Due to the indefinite postponement of the 2018 Club relays, This years Championship came down to 1 important race. This years Team competition was closer than usual before the race: HURT began the season by winning the annual membership race which gave them a 13 point lead on Vauhti, and 17 on PERU. Over the course of the season much of the lead remained, leaving HURT with multiple paths to victory. 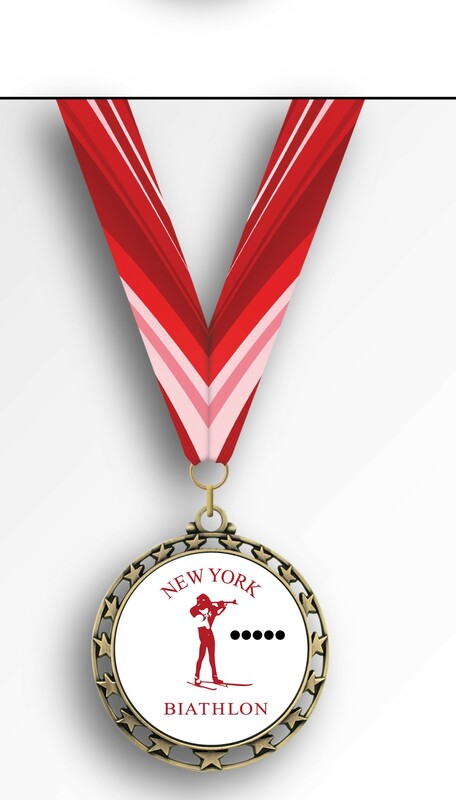 Thank you to all racers who were a part of this NYSSRA season. If we receive sufficient snow, Club Championship relays will be held at Saratoga at a later date. In the meantime, parents can watch their kids race:register for Bill Koch. Biathletes can race in Osceola, and High School students will be competing in Eastern High School Champs, U16 Champs, and Jr. Nationals. After that if the weather holds NYSSRA’s first NORDIX race is on the Calendar! 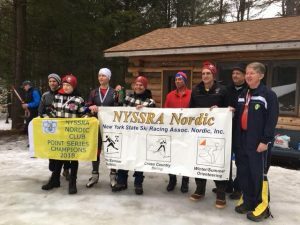 Results and Champs Fast NYSSRA nordic racers!